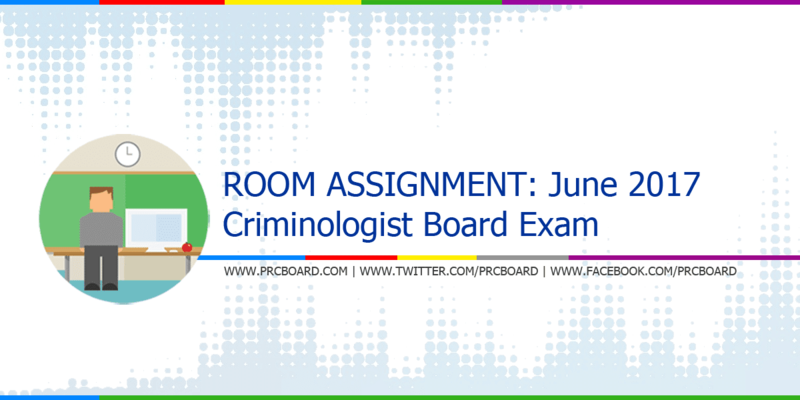 MANILA, Philippines - The Professional Regulation Commission (PRC) Board of Criminology released the June 2017 Criminologist board exam room assignments few days before the licensure exam. The Criminologist board exam is scheduled to take place on June 11-13, 2017 at PRC testing centers in Manila, Zamboanga and all Regional offices nationwide. Criminology is one of the programs with huge number of examinees being administered by PRC. On the same exams conducted October 2016, 10,901 out of 34,768 examinees passed while on April 2016, 3,928 out of 16,435 board exam takers passed. To receive regular updates about June 2017 Criminologist board exam results as well as other related announcements, you may refer to our social media pages via Facebook and Twitter. goodmorning po lastweek and until now ako search ng search for criminologist board exam ng room assignment bkit po hanggang ngaun wla pa din ? ?tomorrow is the day of examination in iloilo...paano po ba yan?? ?bukas na hind pa namin alam.